We have added all the necessary info. about Genesis Alpha One including game review, gameplay, story, release date, trailers, walkthroughs, & you can find more stuff in this post so keep scrolling till the end. 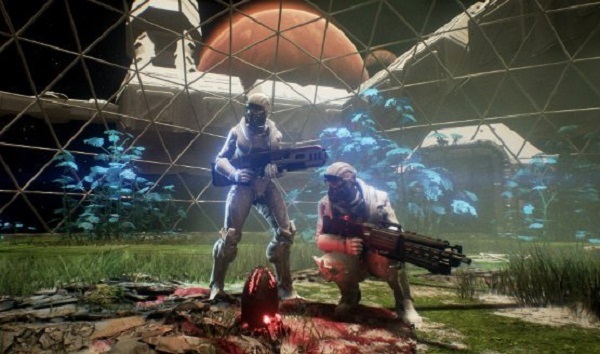 Genesis Alpha One is a game that is a mix b/w a first person shooter, a base builder & a roguelike that also lets you to mess around with genetics. Genesis Alpha One was released on PS4, Xbox One & PC on 29 January, 2019. In a near future ravaged by battles, corrupt governments & devastating pollution, influential corporations have made the Genesis program to protect mankind. You are the captain of a Genesis starship; you travel into uncharted space on the final quest. Build & manage a space vessel, deal with frightening alien swarms, clone beasts & discover a vast, randomly generated universe. You can find new homes for mankind’s DNA & protect the species from death. Every journey in this game starts with a vast, randomized galaxy filled with adventure & peril. Find new planets, encounter asteroid fields, survive aggressive encounters as you discover the massiveness of space. The death is permanent in Genesis Alpha One so every team member’s life matters & you have to think carefully before taking any decision. You will begin with a small vessel & you need to build & maintain a space ark by merging many up-gradable spaceship modules including crew quarters, workshops, green houses & more. You can use a building menu, simply snap together the part of your space ship to tailor it to your playstyle. You can build your space ship then explore it in first person. Alien assaults can spread very fast, contaminating the ship & its members. You need to kill them before they kill you & destroy your ship. You need to use a range of weapons & defenses to battle the alien hazard. You need to grow you crew & upgrade your space ship if you want to battle aliens that will be difficult to beat when you progress. Your crew will increase to manage the requirements of your space ships. You must loot DNA samples from the aliens you face during your adventure & splice them & crew members to offer mankind an opportunity to prosper with skills far beyond what was previously imagined. It won’t be possible to roam a big galaxy without collecting resources such as iron, uranium, copper & plutonium that must be minded from planets & then refined on board your space ship. These will be used to build new modules, weaponry, clones & tools. When you explore these planets which contain secret resources, your crew members will find resources that you need to expand your space ship. You can find artifacts, new weapons, blueprints & transmission, all of these will help you in your mission. The game has combined fast paced, FPS action with deep base/ship building & roguelike mechanics. After managing your space ship, you need to search for resources, find new life, experiment with DNA & even clone new crew members with alien skills. War is threatening earth; humanity is in peril & thus it is up to few chosen heroes to visit space to relocate & protect our struggling race. The game asks you to base build & raise fresh human life. 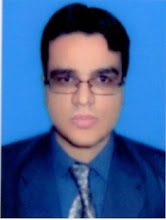 During Genesis Alpha One story, the Genesis program is launched by corporate bodies in order to save mankind, after waves of war, corruption & pollution have been the cause of the death of humanity. You are the captain of the Genesis starship; you need to discover uncharted space in the pursuit of a future. 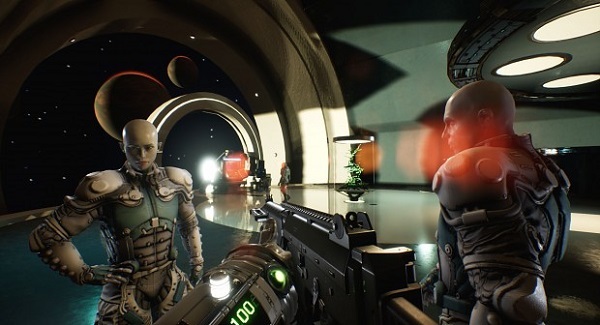 Genesis Alpha One was developed by Radiation Blue & published by Team 17. Genesis Alpha One was released on PS4, Xbox One & PC on 29 January, 2019. Genesis Alpha One will not run on your PC if its specifications are lower than minimum requirements of this game. For best performance, make sure your PC specifications are equal or higher than Genesis Alpha One's recommended requirements. Genesis Alpha One announcement trailer uploaded at E3 2017. Watch Genesis Alpha One reveal trailer. Watch Genesis Alpha One PC Gaming Show. 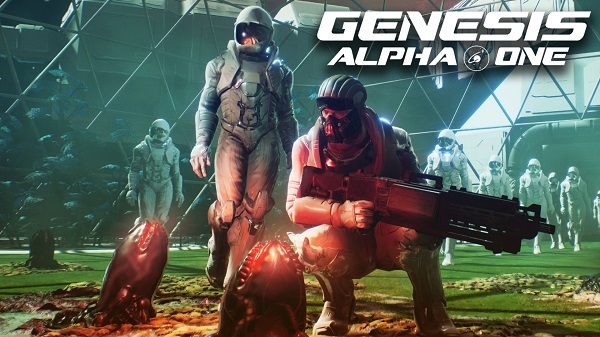 Watch Genesis Alpha One release trailer & gameplay development. Watch Genesis Alpha One 21 minutes of all gameplay walkthrough so far. Watch Genesis Alpha One Pre-Release gameplay walkthrough part 1. Watch Genesis Alpha One Pre-Release gameplay walkthrough part 2. Games featuring space journey are becoming popular.